By focusing on the five key priorities, FACE brings together research-based programs and strategies that equip educators, parents, and communities with the resources they need to boost the literacy skills of all children beyond the classroom. 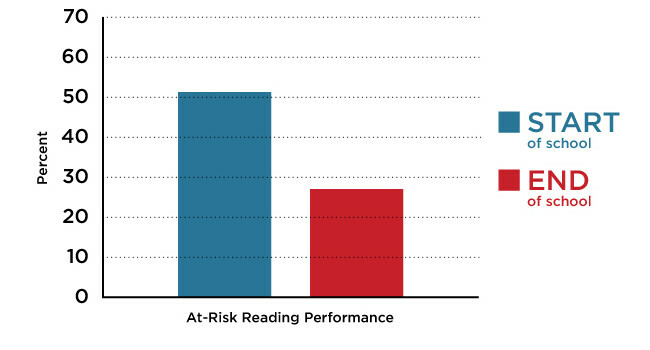 How does early literacy support academic success? 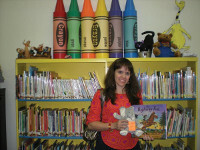 Early exposure to literature is essential for promoting school readiness. Children who are read to routinely and who are immersed in rich talk about books and other engaging activities will thrive. Early literacy skills are indicative of later academic success, and the better a child's early literacy skills, the better equipped he or she is to learn upon entering school. 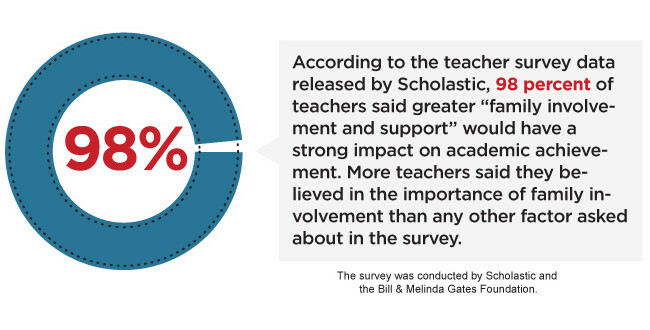 How does family engagement support academic success? When families are actively involved in their children's learning, children arrive at school ready to engage and succeed. Students who have actively engaged parents get better grades, have more positive attitudes toward work and homework, and demonstrate stronger social and emotional skills. How does increasing a child's access to books support academic success? 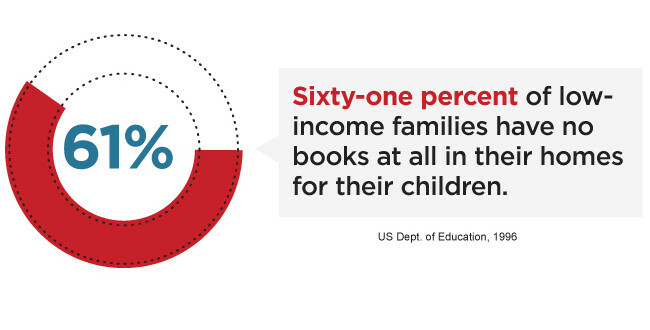 The mere presence of books in the home profoundly impacts a child's academic achievement. Increasing a child's access to books has been proven to result in improved reading performance, an increase in reading frequency, and improved attitudes toward reading and learning. How do expanded learning opportunities support academic success? 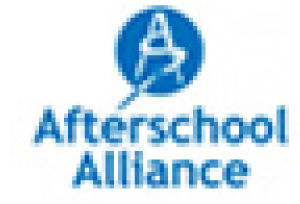 Expanded learning opportunities, including after-school, before-school, summer school, and Saturday programs offer more opportunities to keep students on task. High-quality expanded learning opportunities have been shown to correlate with student gains in academic achievement, school engagement, and social and emotional development. The average child in the 90th percentile reads almost two million words per year outside of school—more than 200 times as many words than a child in the 10th percentile, who reads just 8,000 words outside of school during a year. 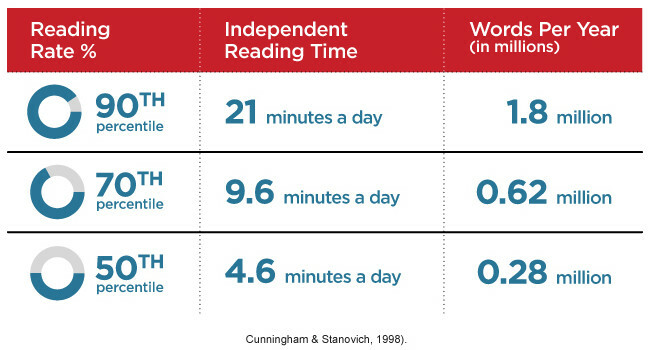 To put it another way, an entire year of out-of-school reading for a child in the 10th percentile amounts to just two days of reading for a child in the 90th percentile. These dramatic differences, combined with the lexical richness of print, act to create large vocabulary differences between children (Cunningham and Stanovich 1998). How do mentoring partnerships support academic success? Mentoring helps young people succeed by establishing supportive and beneficial relationships that promote positive individual development, improved self-esteem, better social skills, and an increased knowledge of career opportunities. Mentoring has been shown to help young people improve cognitive and other academic skills through homework help and added opportunities to spend time on academic tasks. When second- and third-graders who have fallen behind in reading are paired with a teen mentors, the results are immensely positive. 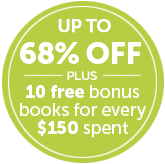 The young readers benefit (see the figure below), but so do their teen tutors, who benefit immeasurably from the experience of taking the responsibility to help a younger student in need. With the help of one caring mentor, a young person might attain reading proficiency, acquire the skills he or she needs to graduate, and develop the abilities, attitudes, and knowledge necessary for economic well-being and full civic participation. 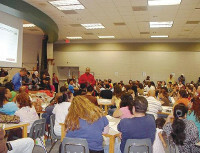 Houston ISD created a wildly successful Read and Rise Family Night Out-and you can too! Lee Anne Burton Encourages Students to Develop Love of Reading.